Count on the professionals at Soundwerk Car Audio for professional installation and repair of car electronics and audio systems. Our local experts can install, repair, and troubleshoot any audio, video, or electronic system in your car. Our goal is to exceed your expectations using the best equipment and tested installation procedures to ensure quality custom installations and continuing service. We work with residential, commercial, and industrial customers and on all makes and models. Since 1985, audio enthusiasts and car lovers have counted on us to install and repair their car electronics, including CD and cassette players, video systems, GPS and navigation, and much more. If it’s in your car and broken, we can handle it. Our skilled technicians repair door locks, power window regulators and motors, car alarms, starters, stereos, and Bluetooth systems. We can usually have a car done while you wait. Our team can repair CD changers even with a CD inside or figure out problems when they won’t play at all. Every repair is timely, guaranteed, and cost effective, which makes repair an attractive alternative to costly replacement. 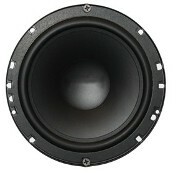 Our team sells and installs all car audio equipment, including speakers, subwoofers, and amplifiers. Head units come in a variety of styles, including navigation systems, DVD players, and many other options. Contact us to experience clear car audio or car electronics.